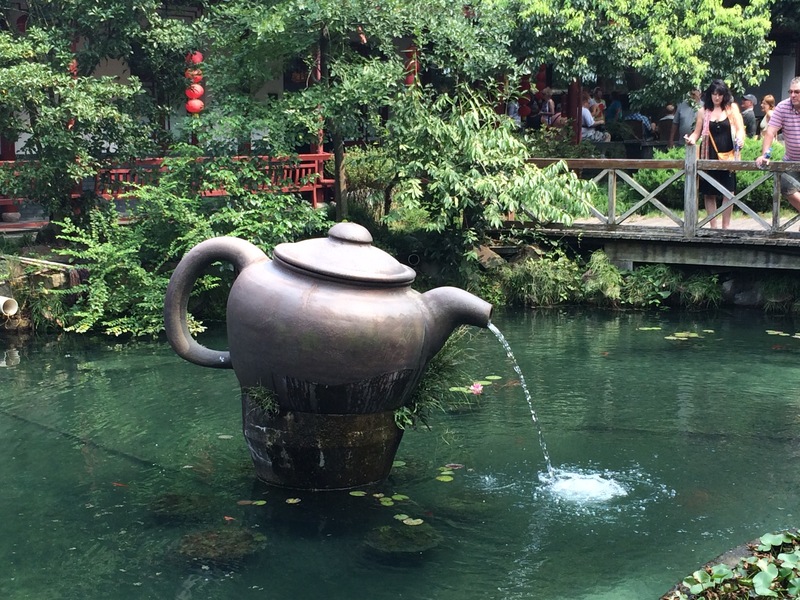 Grab a coffee, get comfortable…you are going to love reading about China. 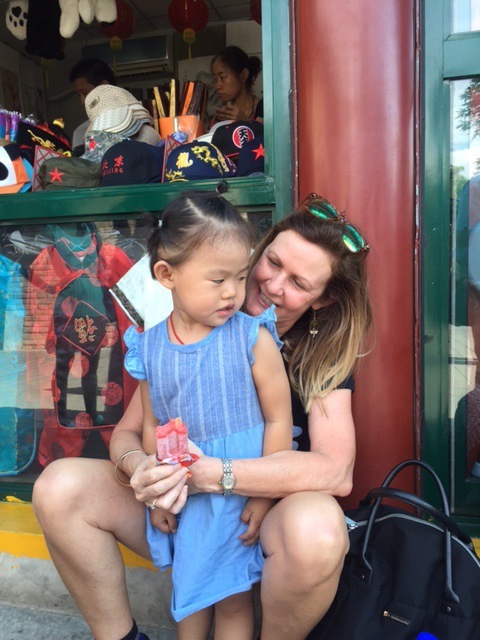 Here’s the best of 12 Days in China…! Full of expectational highlights and more! When it comes to sharing travel information, I like to write from the heart. Tell a story that most people will relate too. Over the last 3 to 4 years, more and more people are choosing to travel to China. It’s a very interesting country, I felt safe and the Chinese locals make you feel welcome. I loved learning more about their culture, environment and seeing how they live. As a first time visitor to China, I suggest you go with a tour group to ensure you see the best of China in the time you have. Exploring China for the first time was an incredible travel experience. 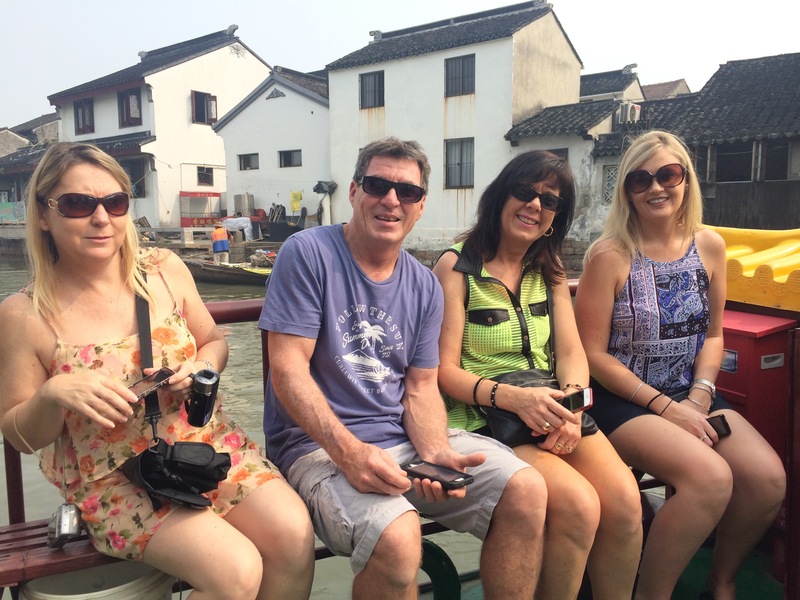 For first time travellers to China, I highly recommend that you book with a reputable travel company specialising in China Travel. Or you can do what we did, and purchase an online travel deal with a high number of quality reviews. 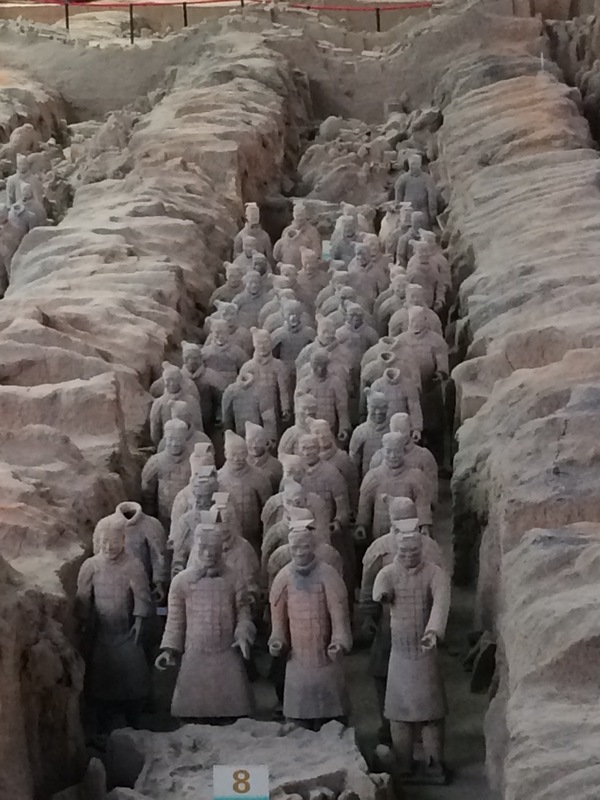 Trip A Deal offers a 12 Day (2-for1) China Odyssey and the opportunity to add an upgrade to the Terracotta Warriors. This is sensational value and incorporates many of China’s best sights. Like Australia, China is a huge continent and there is a lot to see and do! On the tour, we made wonderful new friends with 41 other like-minded travellers. Most days started early and finished late. Nights ended with drinking, eating and discussing the day’s events. Every day was filled with loads of laughter and the odd whinge about something that happened along the way. 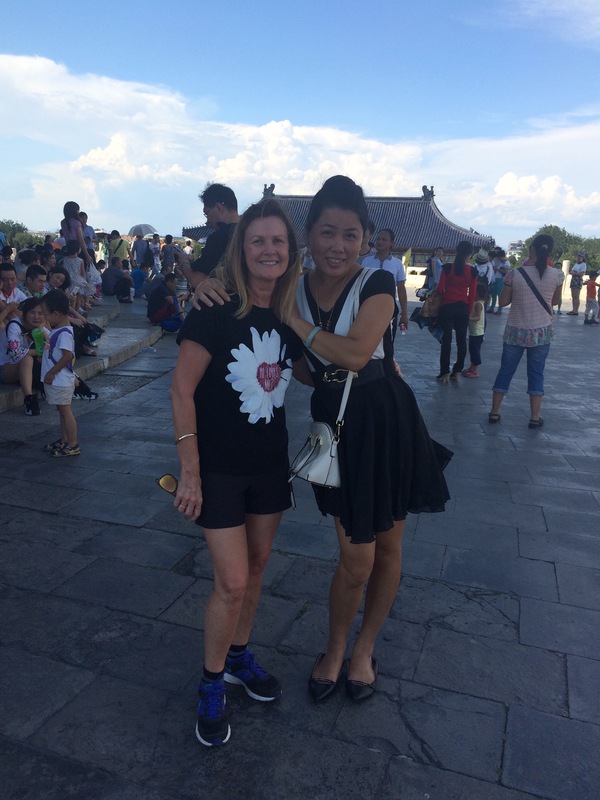 Getting to know complete strangers is a wonderful travel experience. It fascinates me, how everyone tends to gravitate towards people who share similar values. Although, we try to extend ourselves whenever we are in a group, most times than not, we find ourselves in the same company, night after night. Like I mentioned before, China is a massive country and we managed to see a lot of amazing places and special things in 12 days. China wasn’t at all what we were expecting. With a population of over 1.4 billion people, you’d think the traffic and congestion would be unbearable. It wasn’t. The roads were in good order and traffic flowed well. The drivers were courteous and allowed vehicles to move from lane to lane, without too much horn blasting and cursing. However, don’t mention the smog……!!!!! We started the tour in Xi’an. We arrived at our first hotel at 2am in the morning after a very full day of travelling. We hit the ground running with an early start to the National Museum and in the afternoon, we bicycled along the 14 kilometre Ancient City Wall which has been completely rejuvenated to its former glory. A definite highlight of our trip. Make sure you carry water. The following morning started at a Government Art Ceramic factory, where copies of the Terracotta Warriors Army are made. We couldn’t resist purchasing a 1/3 life-size Terracotta “General” which we cherish in our home in Tumbulgum, Australia. 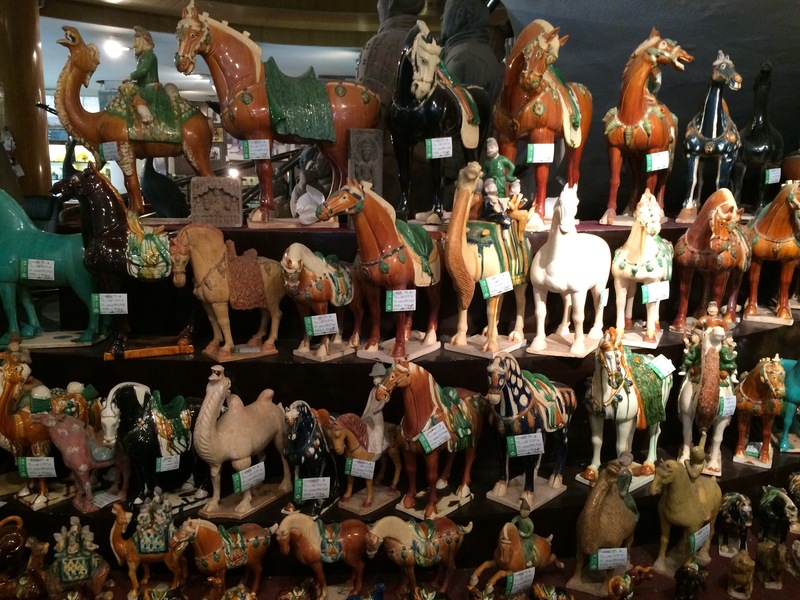 Next stop, the Terracotta Warriors and Horses Museum. The underground site discovered in 1974 by a farmer digging a well is among the top archaeological excavations of the 20th century. 1000’s of life-size warriors have so far been unearthed and repaired in three different pits. The large stadium sized pits are undercover and surrounded by elevated observation platforms. This UNESCO Heritage site is something everyone should aim to see in their lifetime. Mind blowing! While in Xian, we enjoyed a Dumpling banquet dinner and Tang Dynasty Singing and Dancing show in a beautiful Opera House. 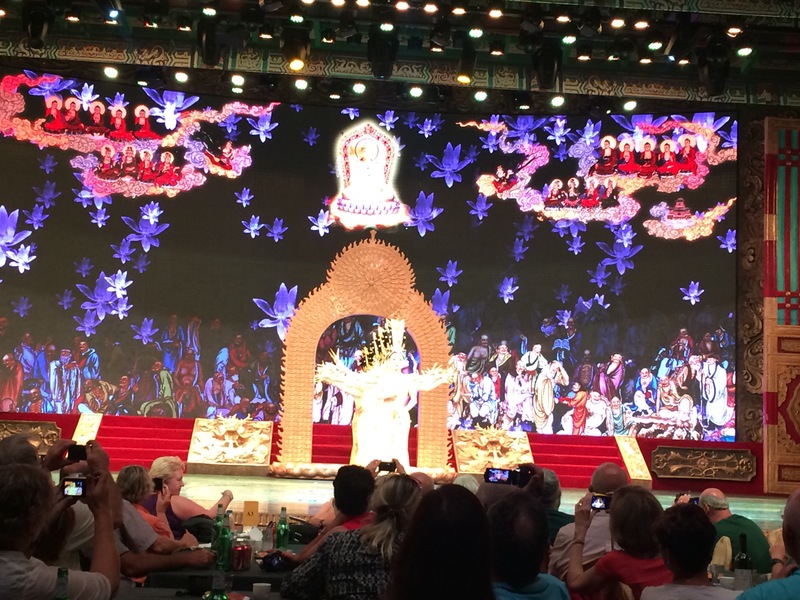 The lighting and colourful costumes were very impressive but unfortunately the dumplings all tasted the same. 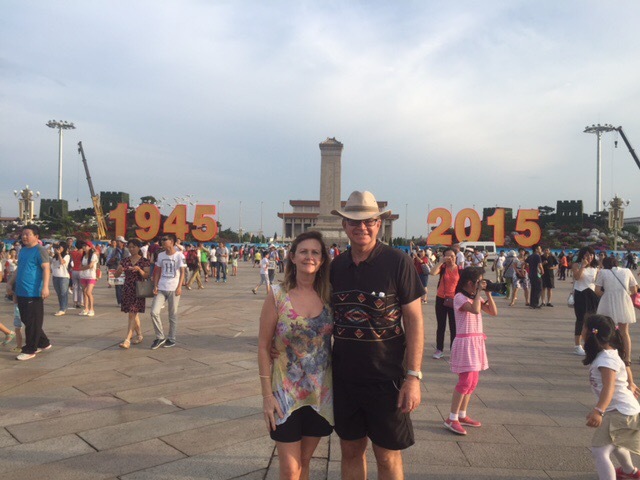 On our first visit to China back in 2015. There was 18 million people in Beijing and the Beijing government had launched an intense security operation in preparation of the Commemoration of the 70 year anniversary. The victory of Chinese people’s resistance against Japanese aggression and world anti-fascist war. The celebration is scheduled on the 3rd September, a declared National public holiday every year. Due to the government lockdown in 2015, entry to Tiananmen Square and the Forbidden City was totally off limits to the general public including tourists. Our guide explained that there was no access to the square, not even a drive by for a quick look. Unfortunately, the situation was completely out of the tour company’s hands. The entire tour group was devastated to learn that our Beijing visit would not include a visit to iconic ‘central city’ landmark. The place where the 1989 massacre occurred. The television image of the protesting student and armed tank is forever etched in my mind. The big bonus was the government shutdown all the factories to rid the city’s snog and to create a blue sky for the major celebrations. The government also implemented ‘even and odd days’ that cars could be on the roads. Having only half the number of cars on the roads allowed for faster travel time and a greater opportunity to see more. Our itinerary changed due to the lockdown. 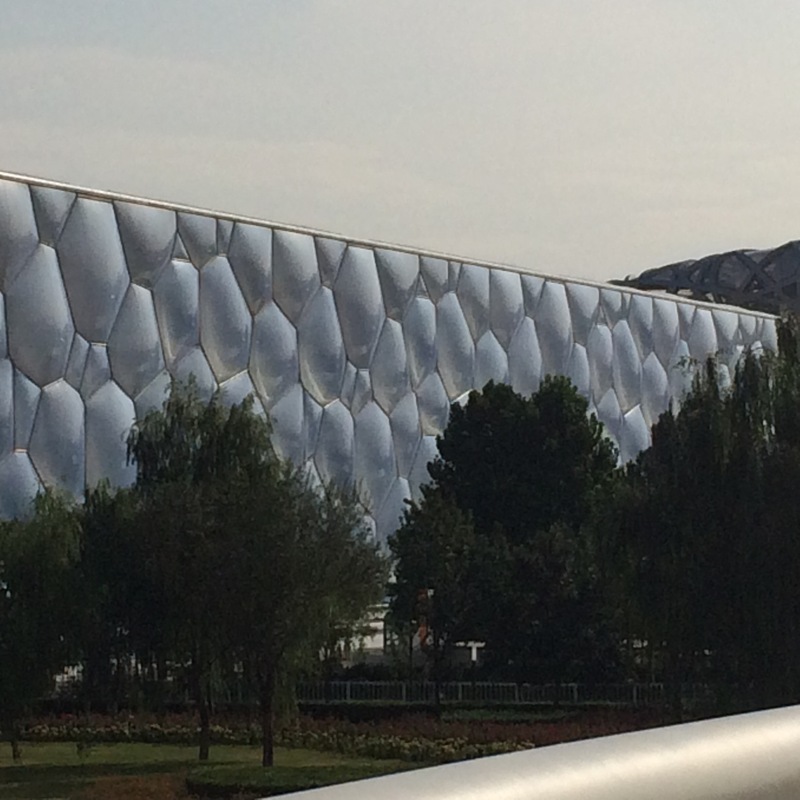 We had a quick photo opportunity at the ‘Birds Nest and Water Cube’, where numerous events were held during the the Beijing 2008 Olympic Games. 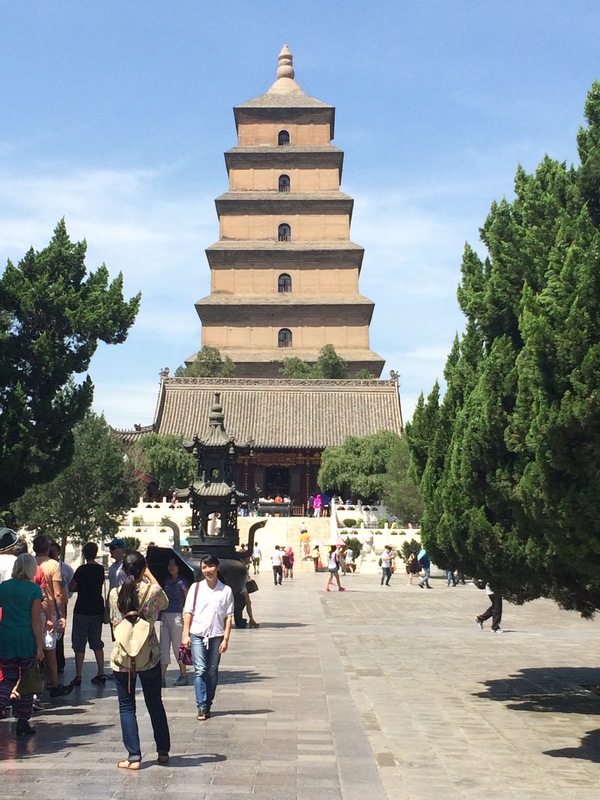 Followed by a visit to the ‘Temple of Heaven”, a masterpiece of Ming Dynasty architecture. Sometimes the funniest things happen on holiday. I was approached by two random local people who asked whether they could be photographed with me. They made me feel like a movie star. It’s travel moments like this that I treasure forever. 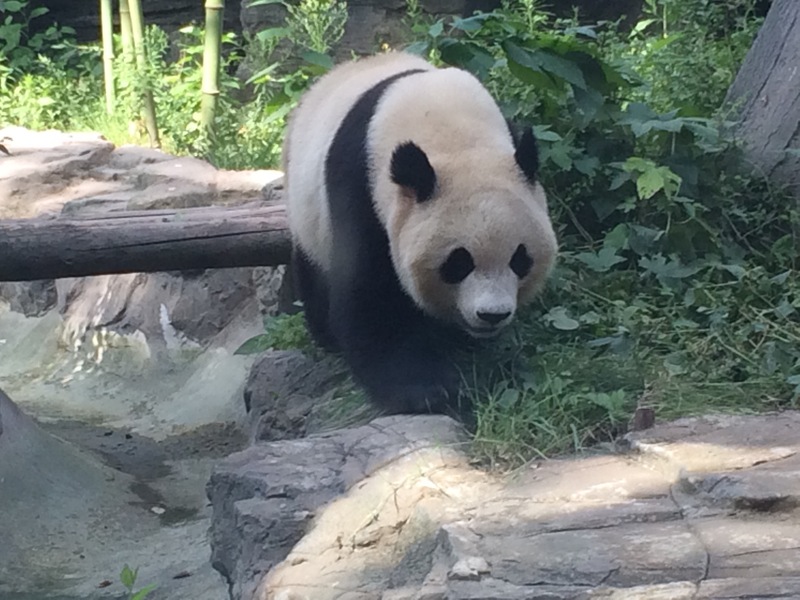 The Giant Pandas at the Beijing Zoo were gorgeous. I was surprised to learn that Giant Pandas eat for 14 hours a day and consume 38-40kgs of bamboo. The Peking Roast Duck feast that night was delicious although the next day a few of the group were unwell and popping “Imodium” like breath mints. By the way, China has many public toilets although most are squat toilets which are hard on the knees, smelly and on the dirty side. There were no toilets on the tour buses which would have made our long trips more comfortable. However, the driver would stop on demand. 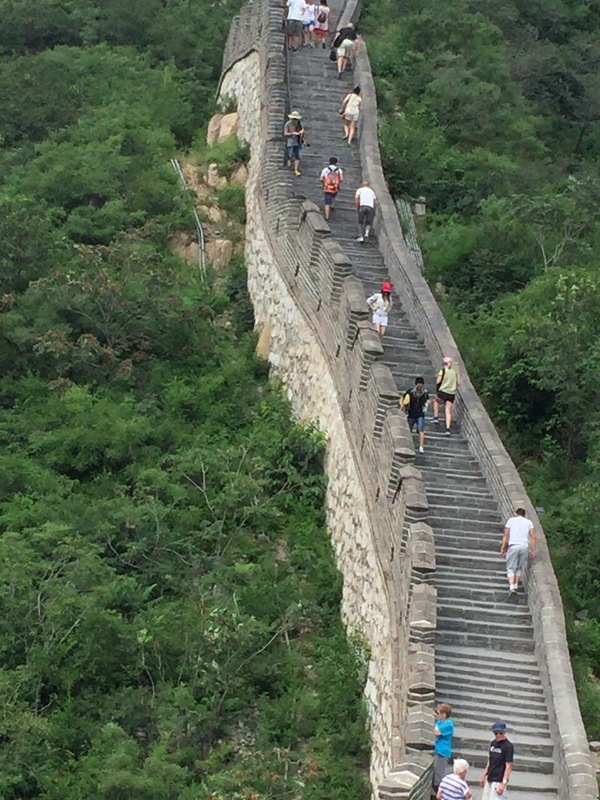 The absolute highlight in China for me was walking on the “Great Wall”. The excursion to the majestic Juyong Guan Pass, where I climbed a portion of the 6,000km marvel is one of my best holiday experiences. Reaching “Tower 13”, a very steep 1.5 km walk by stairs is no feat for the unfit. There are signs highlighting the health dangers before commencing the walk. The 360 degree view along the walk is breathtaking – surrounded by dense green forest, magnificent mountains, and flowing streams. 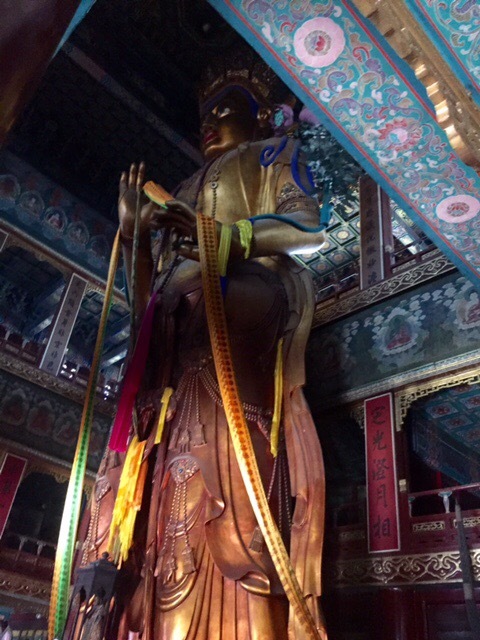 The Beijing portion of the tour included a visit to the Summer Palace. A large preserved ancient garden in China and a former summer sanctuary for the Emperors. Our National tour guide, Helen from Nexus tours took the group to the Chinese Herbal Medicine Institute to educate us on the benefits and use of Chinese Herbal Medicine. The group were taken into a private room, where each of us soaked our tired feet in a plastic lined wooden bucket infused with Chinese herbs. A well spoken Chinese doctor gave an interesting talk on how pressure points are used in acupuncture and how health conditions can be diagnosed by looking at the lines on the palms of the hands and the feel of the pulse. After soaking our feet for 30 minutes, trainee students proceeded to massage our feet while a Professor, both trained in Western and Chinese Medicine looked at our palms, diagnosed conditions and wrote a script of herbal medication to restore us to good health. The professor was spot on with my medical condition and he prescribed a month’s supply of herbal medicine for me to try. Each prescription came with a certificate for customs and instructions on how the medicine is taken. The medicine isn’t cheap, there’s no bartering allowed and once you get home, you can purchase online as your script is kept on file. 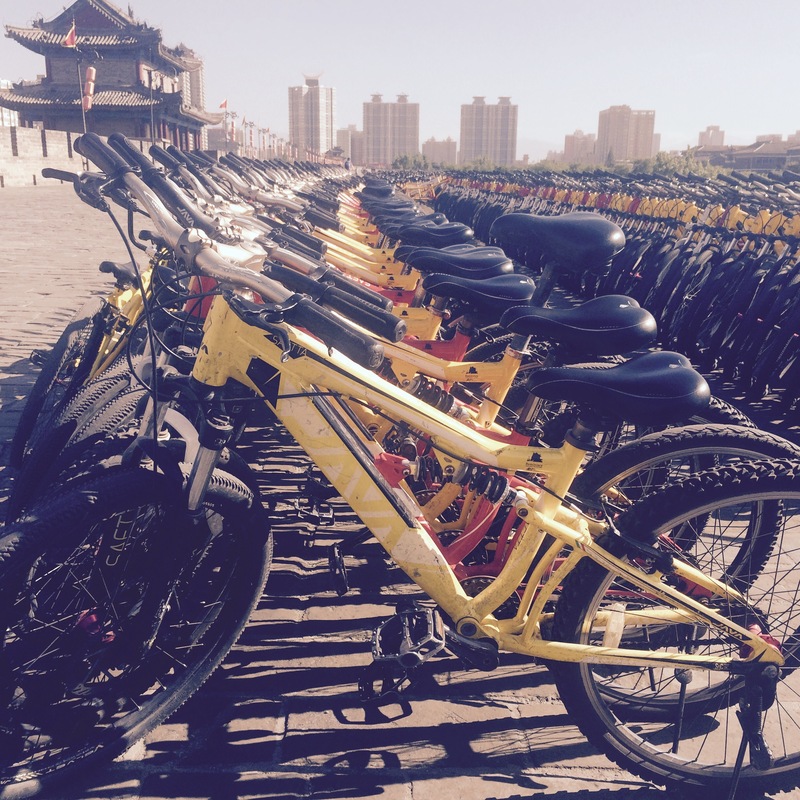 Tours in China and Asian countries include mandatory visits to Government owned factories. Lots of tourists resent being taken to factories and often comment that they feel they are kept captive and extorted. As I see it, these excursions are part of the experience and culture of Asia. I always walk away learning something interesting and worthwhile. 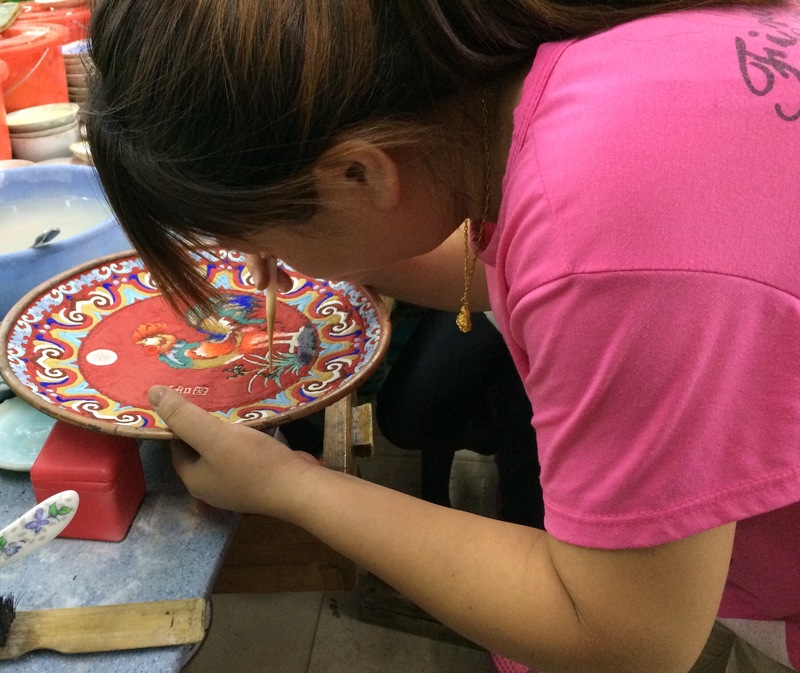 The Chinese factories generally specialise in Jade, silk-making and ‘Cloisonné, the ancient technique for decorating metalwork objects using enamel, gemstones, glass, and other materials. 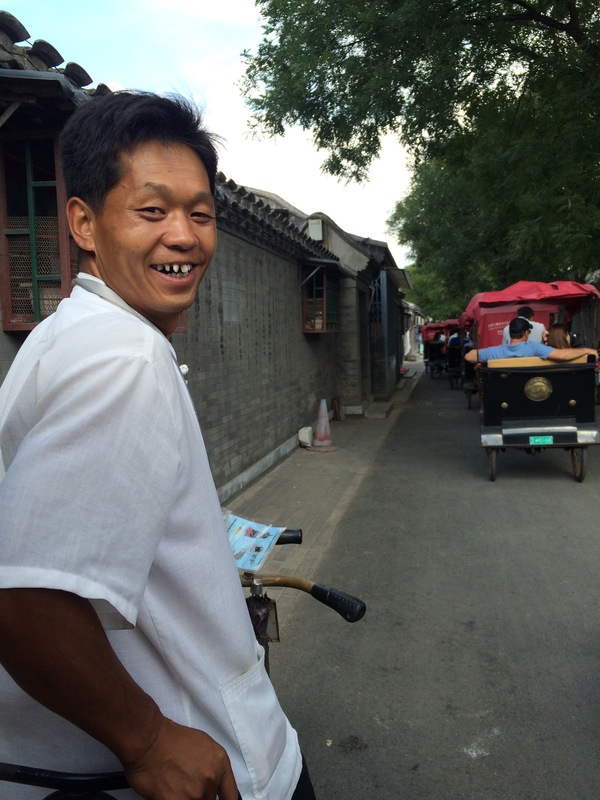 During our visit to the old town Hutong, in Beijing, we took a rickshaw ride with a driver on “speed”. He ran the entire way weaving and overtaking anything in his path. Every now and again, he’d look over his shoulder at us so we could photograph his radiant smile. 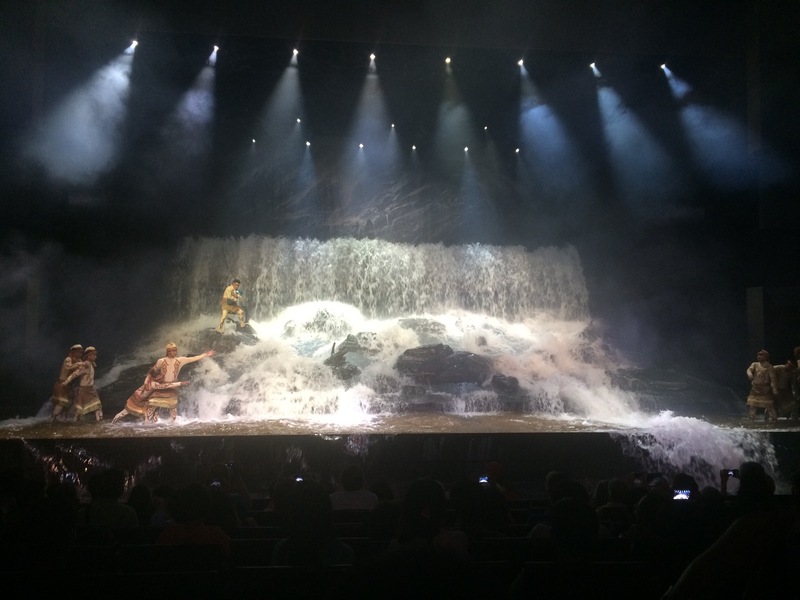 Seeing the large-scale Chinese musical drama “The Golden Mask Dynasty” was both fascinating and totally different. The flood scene was the incredible. On our last day in Beijing, the government lifted the lockdown at Tiananmen Square allowing us to visit Tiananmen Square. I had one of those surreal moments as I wandered the square snapping photos while reflecting on the history of this significant landmark. Another tick off the bucket list but more importantly – a grateful travel moment. Day 7, we flew from Beijing to Shanghai. Suzhou is referred to as the Garden City, because of its many classical gardens and charming natural beauty. 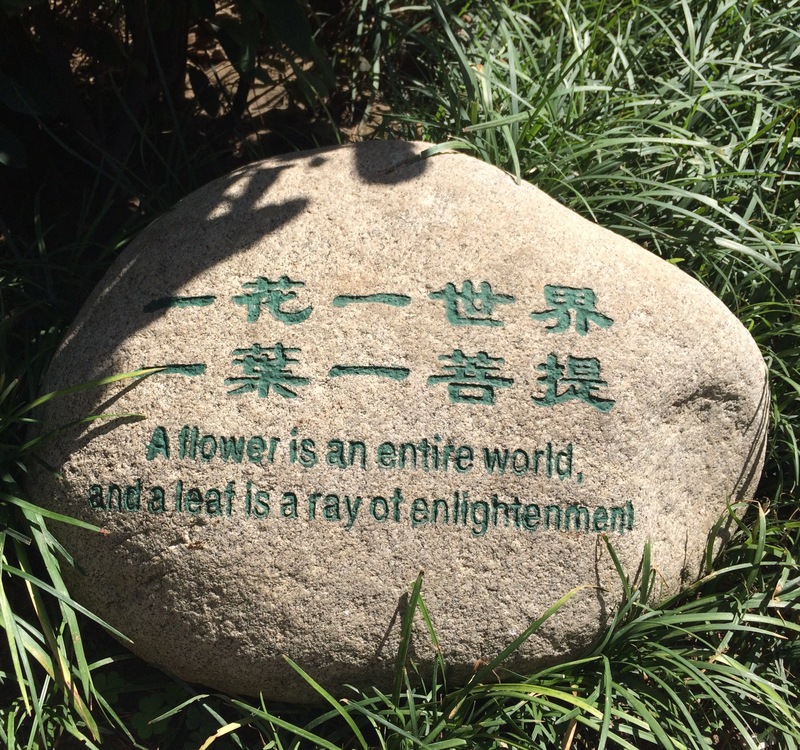 The Lingering Garden meaning – Lingering between “Heaven and Earth” is one of the finest gardens in China. The garden was added to the UNESCO World Heritage list in 1997. The meticulously designed gardens has a number of traditional wooden buildings’ surrounded by water features and an abundance of bonsai trees. One bonsai dates back 500 years. The city’s canals, stone bridges, pagodas and gardens contribute to its status as one of the top tourist attractions in China. The 30 minute canal ride was very quaint and I can understand why Suzhou is also often dubbed the “Venice of the East”. 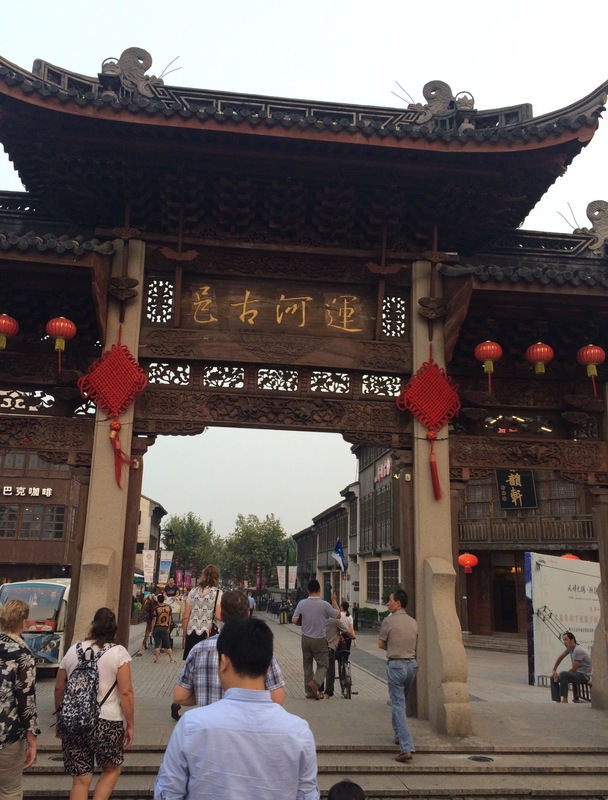 A group of 8 of us went to Nanchang Street for dinner in old Wuxi. Nanchang Street is a charming and fashionable pedestrian street composed of ancient and modern architecture and famous for its delicious food. We started the night in a tiny upstairs bar where us girls enjoyed a bottle of “Coldish” French bubbly. Getting a cold beer and a white wine in Asia is a real mission. We wandered the lively streets – people watching while looking for the perfect restaurant to dine and relax in. We settled on a Balinese style restaurant overlooking a quaint alleyway. Decent wine is hard to find in most Asian countries. During the day, we stocked up in a Tesco store and took our wine to the restaurant. The owners didn’t seem to care that we brought our own supply. Their focus is on food which is why there is plent of great food in China. 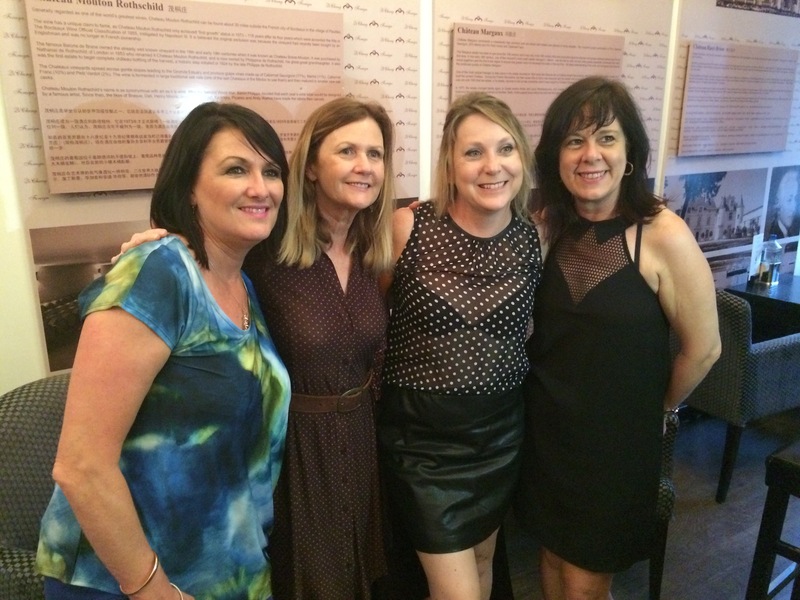 We had a great night out getting to know each other better and captured some wonderful photos of our group’s antics. Wuxi is one of the oldest cities in China with more than 3,000 years of history built on the shore of Lake Tai. From there, we travelled to Hangzhou. Described by Marco Polo as “the most beautiful and magnificent city in the world”. The following morning, we headed to a tea plantation and tea-tasting at the Dragon Well Tea Plantation. 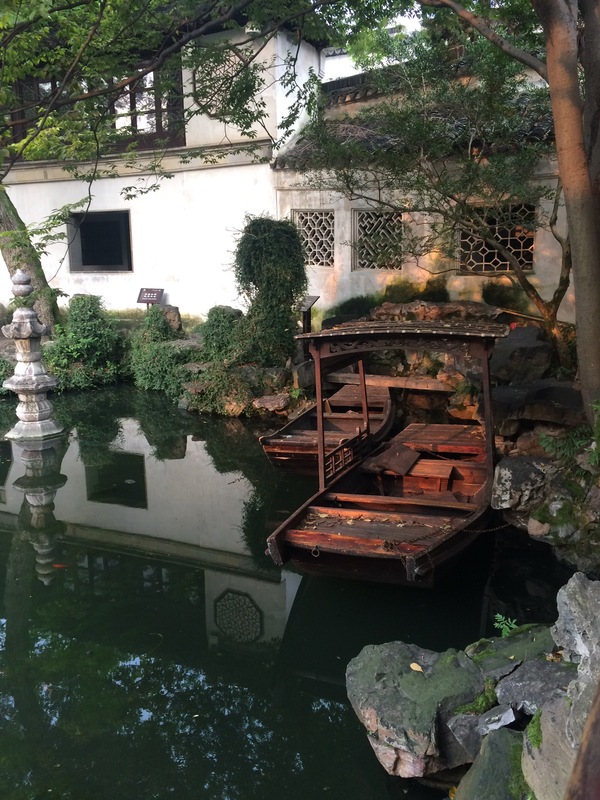 From there, a short boat ride on the serene West Lake, the most renowned feature of Hangzhou. Noted for the scenic beauty that blends naturally with many of the famous historical and cultural sites. 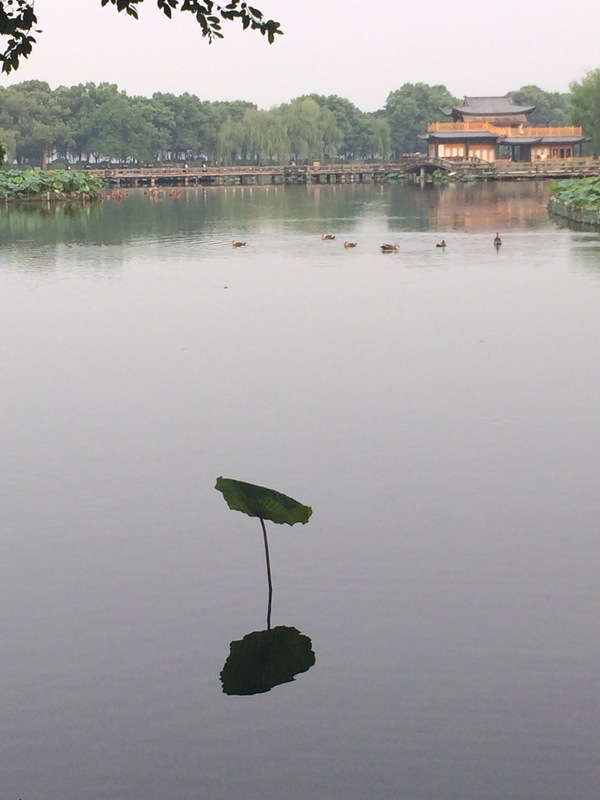 I particularly enjoyed wandering the magnificent city gardens that surround the West Lake. It took 3.5 hours by bus to reach Shanghai. 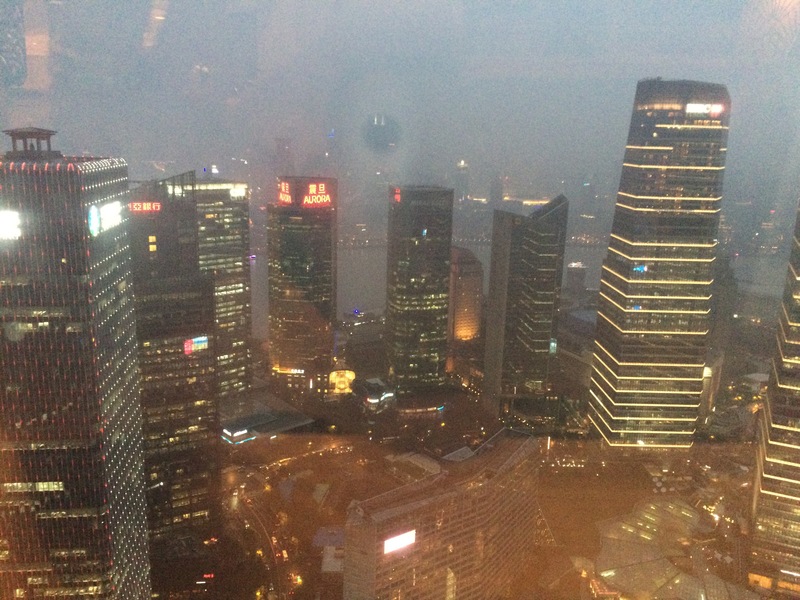 Shanghai is a vibrant metropolis and the commercial centre of China. Some of the group went to the Shanghai Museum while others took the opportunity to wandered in the “People’s Square” and nearby streets. Our new friends, Chris and Chris from Sydney did some research prior to taking the trip on the best high-rise bars in Shanghai. Together we caught a taxis to the Grand Hyatt. To get to the “Cloud Nine” bar, you take a lift to floor 54, change lifts to get to floor 85 then change lifts again to reach floor 87. Non-residents of the Grand Hyatt pay 100 yuan ($22 AUD) to enter which includes one standard drink. The view is spectacular although hampered by the dreadful smog. Chris’s research mentioned a rooftop whirlpool and when we couldn’t find the pool, we realised that there must be another Hyatt Hotel in Shanghai. There’s always next time. Great cocktails then dinner on the street. The local restaurants offer a picture food menu as the majority can’t speak any English. The hotpot meals cooked over a flame were very tasty although the bones didn’t look like chicken or beef! After the meal, I saw a “big fat rat” run across a beam which made us all laugh and tummies turn. 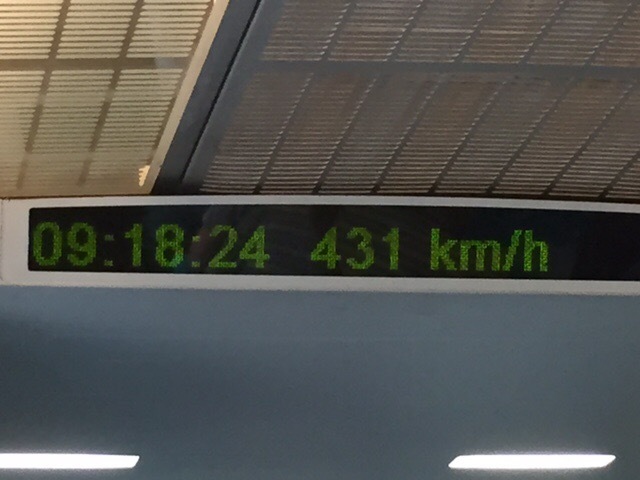 Maglev train is the fastest commercial train currently in operation with atop speed of 430 km/h. (Bullet trains only go approx. 300km/h). The line was designed to connect Shanghai Pudong International Airport and the outskirts of central Pudong, Shanghai. It covers a distance of 30.2 kms in 8 minutes. No holiday is quite complete without a shopping frenzy. 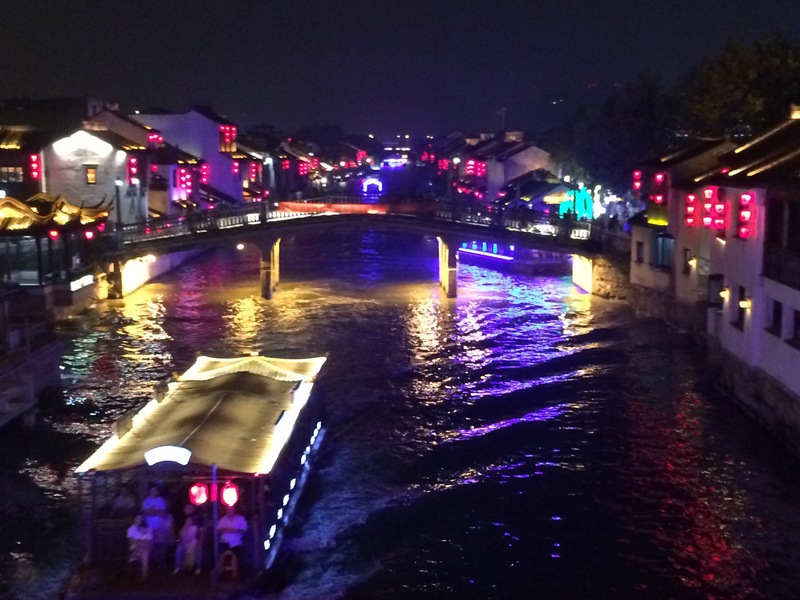 In Shanghai, there are massive knock off markets underground, selling anything from hand-made tailored suits, watches, drones, electronics, fashion, shoes, handbags, pottery, silk, cosmetics and food. 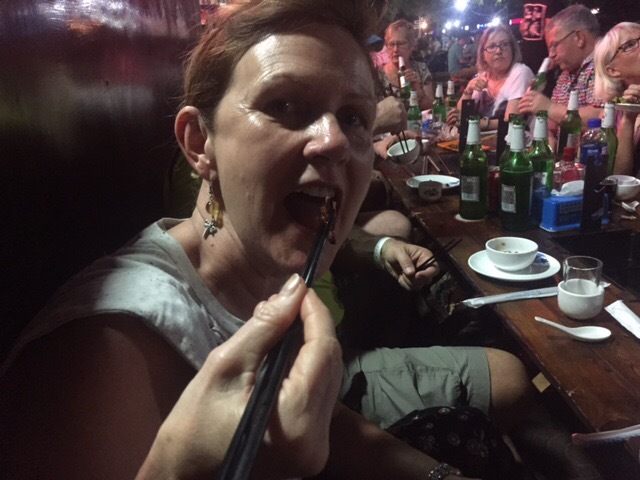 Our guide Helen provided helpful tips on how to bargain efficiently which I think I took to the next level. Although, we definitely don’t need anything, we bought a few bargains including prescription sunglasses. My husband was super impressed by my newly learnt bargaining skills. 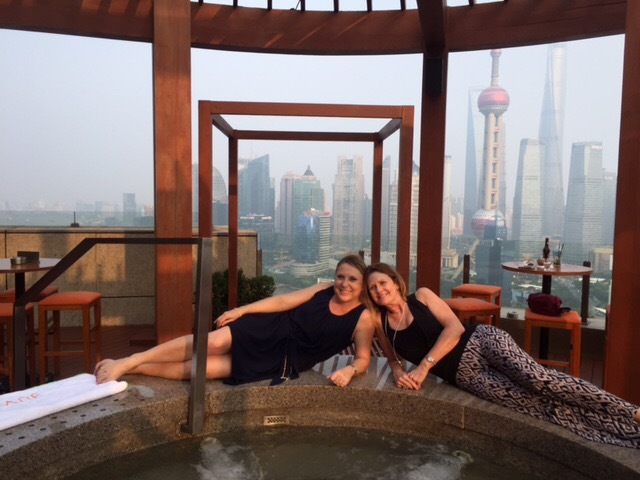 Being our last day and night in Shanghai, we dumped our purchases back at the hotel and headed out with Chris and Chris in search of the Sky Bar with the rooftop terrace whirlpool. The whirlpool rooftop terrace is located in the Hyatt on the 33rd floor in the famous Bund district. The Vue Bar as it is known has the best views of both sides of the Huangpu River – the Bund on the Puxi side and the colourful skyline of the Lujiazui area on the Pudong side. 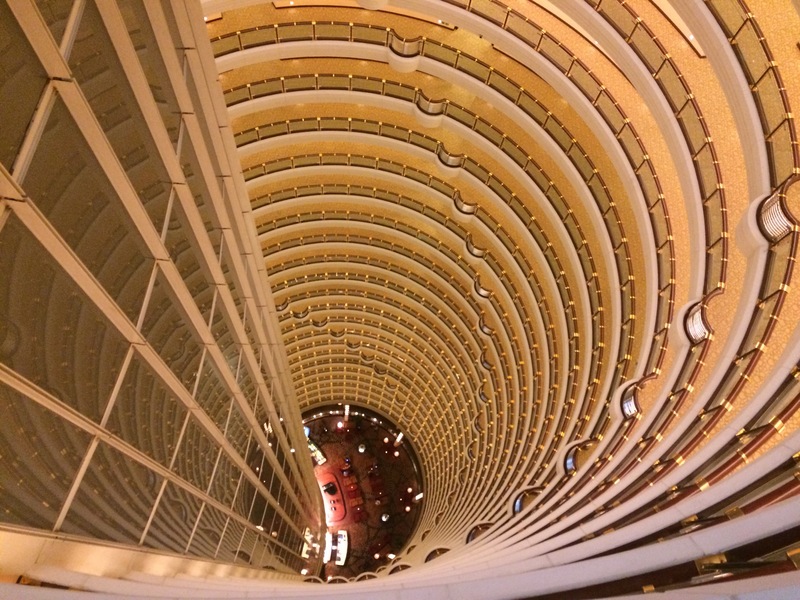 Again, non-residents of the Hyatt pay 100 Yuan to enter which includes one standard drink. After two drinks, we meet the group for our farewell dinner before a dazzling and charming night cruise on the Huangpu River. 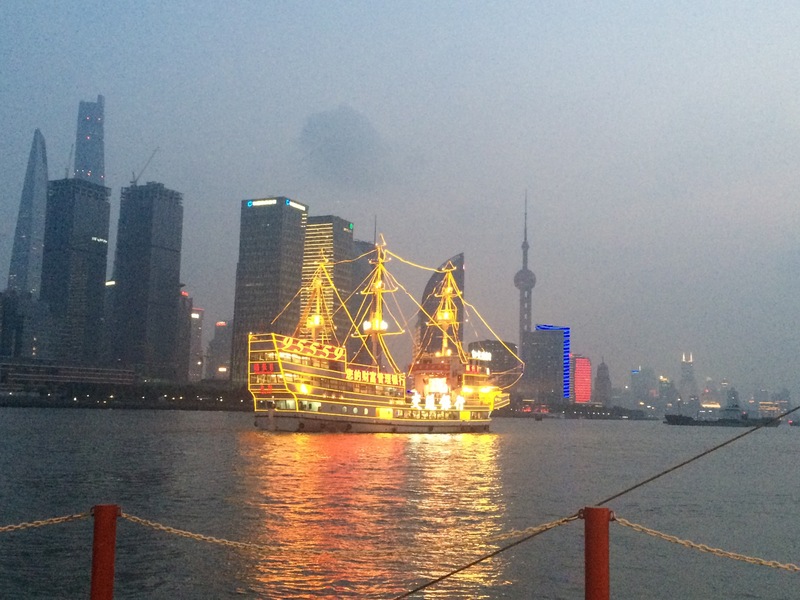 Shanghai is a beautiful illuminated and exciting city. 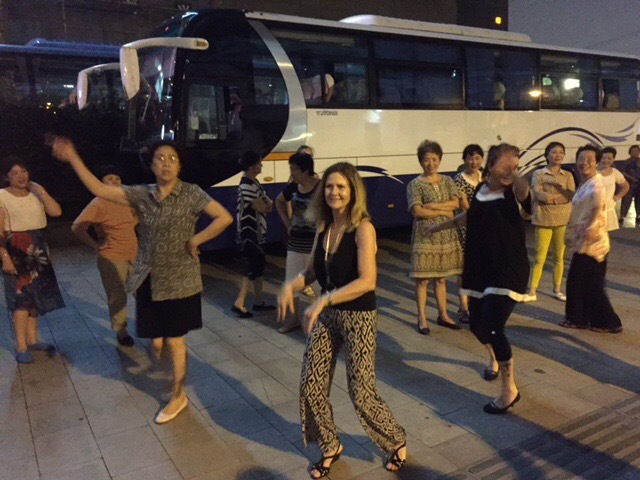 On returning to our hotel, a large group of Chinese women gathered outside of our hotel for their evening “Line Dancing” session. A few of us joined in which delighted both them and us. A number of us retreated to the executive floor of our hotel to exchange stories and final drinks. Lee, who we nicknamed “Ling Ling” went for a walk with me to get supplies. On the way back to the hotel, Ling Ling crossed the road looking the wrong direction. Luckily, I grabbed her by the arm and pulled her back up on to the footpath as the car hit the brakes. We both had a very grateful moment. How things can change in an instant. Tip: Never travel abroad without travel insurance. After many laughs, we hugged our new friends farewell, promising to share photos and emails on our return to Australia. Tune in for the next adventure when I’ll take you on a 14 day journey of Japan. You will learn why more and more travellers are choosing to visit Japan and what they love about it. 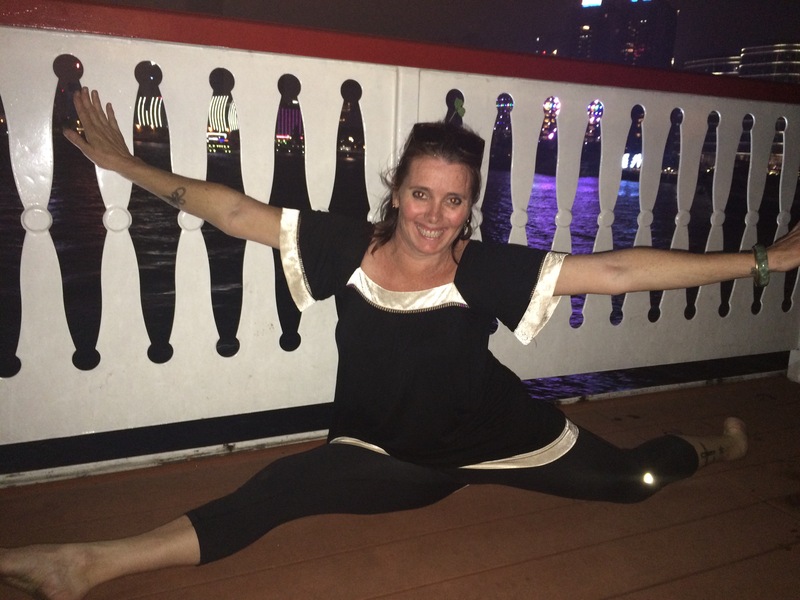 What a fabulous blog Donna!